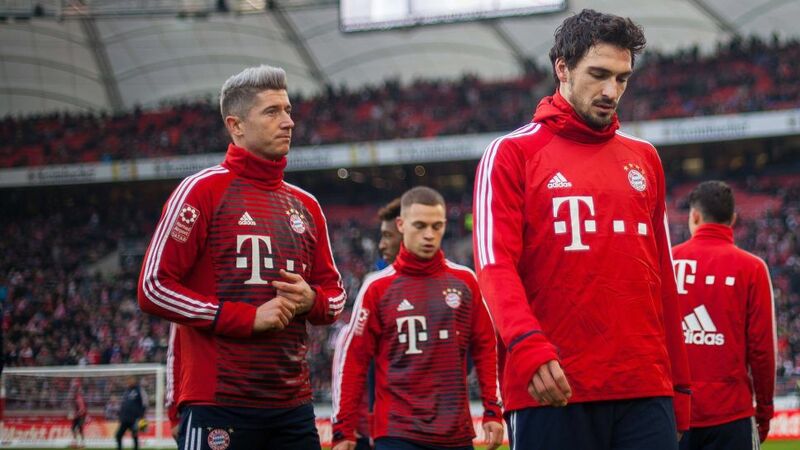 Bayern Munich will be without leading scorer Robert Lewandowski and centre-back Mats Hummels in Friday's Rückrunde opener at Bayer Leverkusen, head coach Jupp Heynckes confirmed at his pre-match press conference on Thursday. Lewandowski has been struggling with a knee tendon problem, while Hummels has a minor groin issue. Winter signing Sandro Wagner, who began his playing career at the club, is expected to start in Lewandowski's stead, but right-back Joshua Kimmich "may not be fit to start" after a recent illness. Wagner, who left Hoffenheim last month, first joined Bayern as an eight-year-old, and worked his way through the youth academy to the first team. He made the last of four senior appearances for Bayern when he came off the bench for Franck Ribery in the closing seconds of the 1-1 draw with Hamburg on 2 September, 2007. "I'm happy to be home again," the Germany international, 30, told kicker. "But of course the main thing is how things go, and I'm trying to settle in well, get some playing time, and produce my best." He added his move back to Bayern had been motivated by an ambition to ensure he will have a place on the plane when Joachim Löw names his squad for the 2018 FIFA World Cup. "I also have the aim of being in Russia. For that, the Rückrunde is very, very important for me," explained the forward, who scored four goals in 11 Hinrunde appearances. "I can only give my all. I cannot do more. No-one will ever be able to accuse me of not giving my all."